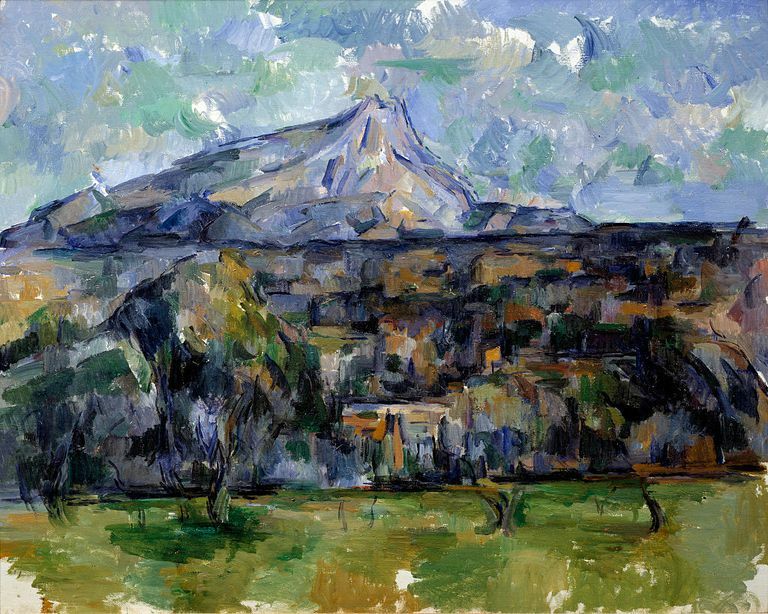 The Mont Sainte-Victoire by Paul Cezanne. The term "Post-Impressionism" was invented by the English painter and critic Roger Fry as he prepared for an exhibition at the Grafton Gallery in London in 1910. 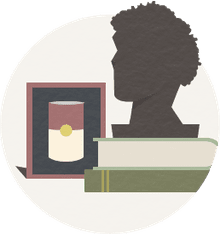 The show, held November 8, 1910–January 15, 1911) was called "Manet and the Post-Impressionists," a canny marketing ploy which paired a brand name (Édouard Manet) with younger French artists whose work was not well known on the other side of the English Channel. The up-and-comers in the exhibition included the painters Vincent van Gogh, Paul Cézanne, Paul Gauguin, George Seurat, André Derain, Maurice de Vlaminck, and Othon Friesz, plus the sculptor Aristide Maillol. As the art critic and historian Robert Rosenblum explained, "Post-Impressionists... felt the need to construct private pictorial worlds upon the foundations of Impressionism." For all intents and purposes, it is accurate to include the Fauves among the Post-Impressionists. Fauvism, best described as a movement-within-a-movement, was characterized by artists who used color, simplified forms and ordinary subject matter in their paintings. Eventually, Fauvism evolved into Expressionism. As a group and individually, the Post-Impressionist artists pushed the ideas of the Impressionists in new directions. The word "Post-Impressionism" indicated both their link to the original Impressionist ideas and their departure from those ideas — a modernist journey from the past into the future. The Post-Impressionist movement was not a lengthy one. Most scholars place Post-Impressionism from the mid-to-late-1880s to the early 1900s. Fry's exhibition and a follow-up which appeared in 1912 were received by the critics and public alike as nothing less than anarchy — but the outrage was brief. By 1924, the writer ​Virginia Woolf commented that the Post-Impressionists had changed human consciousness, forcing writers and painters into less certain, experimental efforts. For example, during the Post-Impressionist movement, Vincent van Gogh intensified Impressionism's already vibrant colors and painted them thickly on the canvas (a technique known as impasto). Van Gogh's energetic brushstrokes expressed emotional qualities. While it is difficult to characterize an artist as unique and unconventional as van Gogh, art historians generally view his earlier works as representative of Impressionism, and his later works as examples of Expressionism (art loaded with charged emotional content). In other examples, Georges Seurat took the rapid, "broken" brushwork of Impressionism and developed it into the millions of colored dots that create Pointillism, while Paul Cézanne elevated Impressionism's separation of colors into separations of whole planes of color. It is important not to understate the role of Paul Cézanne in both Post-Impressionism and his later influence on modernism. Cezanne's paintings included many different subject matters, but all included his trademark color techniques. He painted landscapes of French towns including Provence, portraits that included "The Card Players," but may be best known among modern art lovers for his still life paintings of fruit. Cezanne became a major influence on Modernists such as Pablo Picasso and Henri Matisse, both of whom revered the French master as a "father." Nicolson B. 1951. Post-Impressionism and Roger Fry. The Burlington Magazine 93 (574):11-15.